Need more quality class time with your students? This workshop will share an easy to employ method of making and utilizing instructional videos in the STEM classroom. 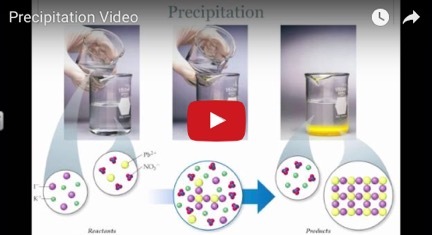 These videos can be used to teach skills, review content, and even to model laboratory techniques; thus saving valuable instructional time the classroom for more meaningful experiences. The session will begin with a review of best practices for creating and using videos in the classroom, followed by a brainstorming session and discussion about how to get the most out of this instructional tool. We will explore the pros and cons of some of the most commonly used screencasting apps such as: Camtasia, ScreenCast-O-Matic, and Explain Everything. These apps allow you to record a video directly on your laptop, without the need for a video camera. In addition, participants will learn how to skillfully use Google Forms and PlayPosit to hold students accountable for watching and taking notes on the videos you create. The later portion of the workshop will be devoted to hands-on practice recording your own video and accompanying assessment. So whether you are high school, middle school, or upper elementary STEM teacher looking to incorporate a great timesaving strategy this is a workshop for you! You will need to bring a laptop or a tablet and a pair of headphones, preferably with a built-in microphone, like the kind that you may use with your cell phone. In addition, it would be helpful if participants download the free trial of Camtasia in advance. Participants are also encouraged to bring a set of instructional slides (such as a short PowerPoint presentation or a SmartNotebook file) that they can narrate as part of this video creation.